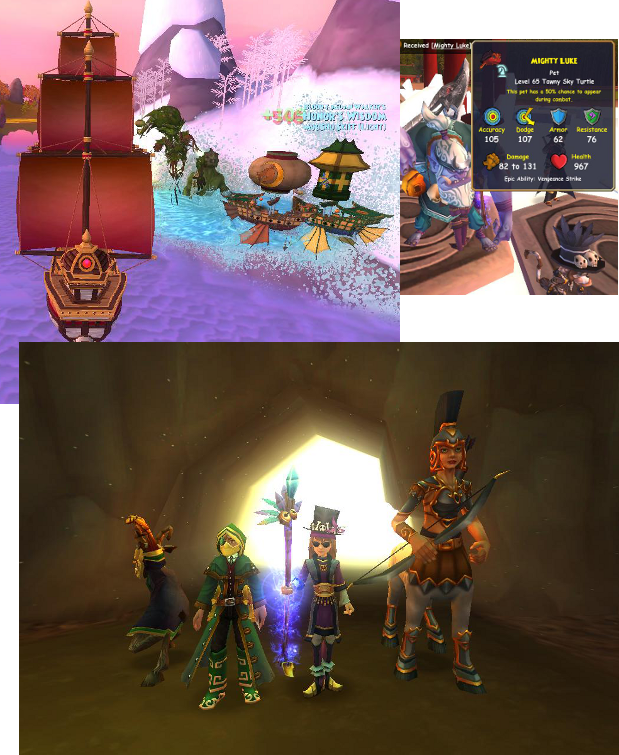 I have actually had quite a bit of time to level through Pirate101 lately. It felt so good to get back in game and spend some real time there. Other than NXP parties, I have been up to all kinds of things. Here's an update of where all my pirates currently are. The last time I posted one of these update posts, I believe I had 3 characters all starting Haunted Skyway. Well, I am extremely happy to let you know that all three of those characters are now out of Cool Ranch and at various parts of Mooshu! 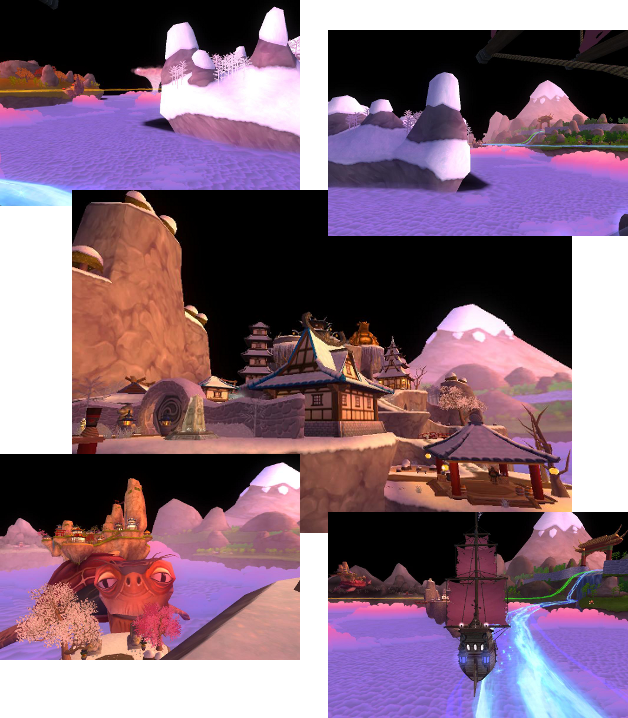 My Privateer has made it to Mooshu, but I haven't started any questing on her yet. I am planning on starting up with my update posts again, so be sure to watch for those! Edward Hawkins and I have also made it to Mooshu, although we haven't done much there other than talk to some people. I believe we are getting ready to fight some ships. 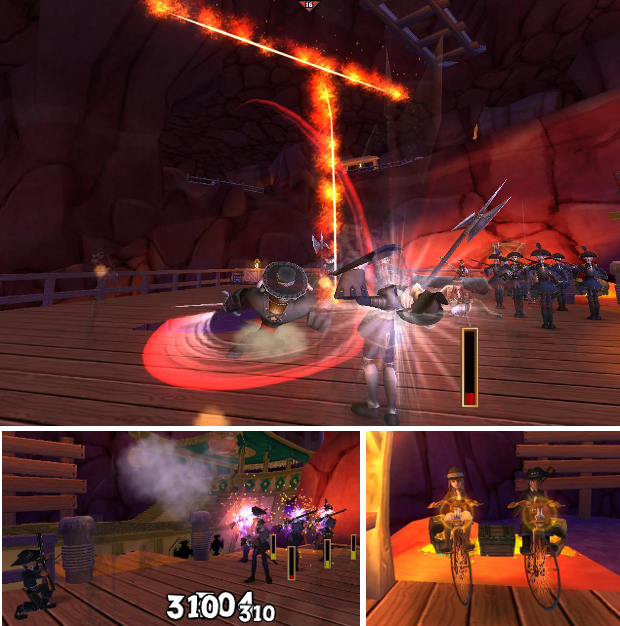 The last battle of Cool Ranch (Motherlode Mine) was a lot of fun with him, and not too much trouble either......Probably because we hired a henchman to help us out. 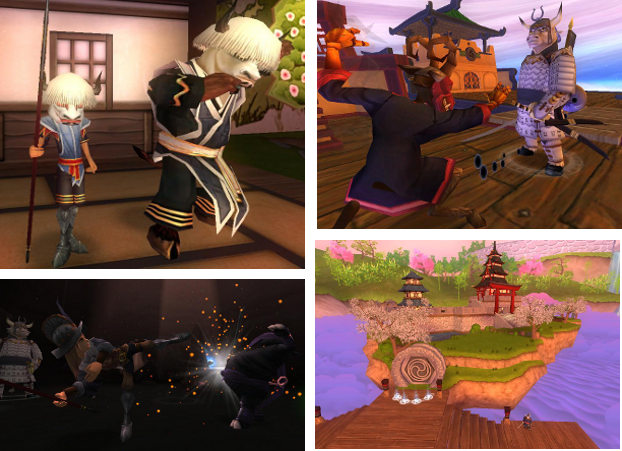 :D Here are a few pictures from that battle. 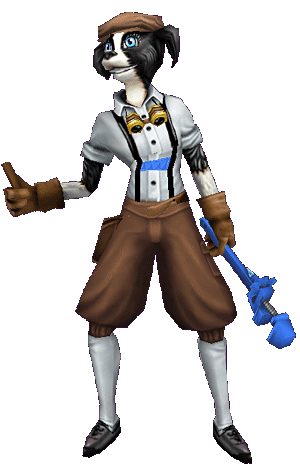 The only character I haven't been working on much is my swashbuckler. I will have a post the beginning of next week about that though. It feels really good to be making so much progress in the game though! And as much as I like Cool Ranch, having 3 characters stuck there at the same time got kinda......redundant. lol I am not too sad to say goodbye to that world for now. Before I go, just one more thing. I have recently updated the "My Pirates" page on this blog. I am planning to keep that page updated on a weekly basis. All of my characters are listed there, along with their current levels and up-to-date pictures. 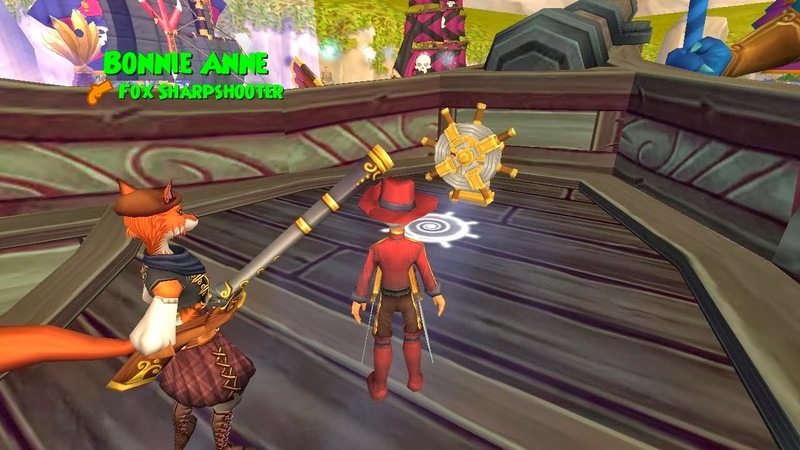 If you see anyone named Autumn Walker in the spiral that doesn't match up with one of those characters, it is NOT me. If you do see one of those characters, feel free to say hi! :) I am usually questing in One Eyed Jack realm. Anyway, I will see you all soon! 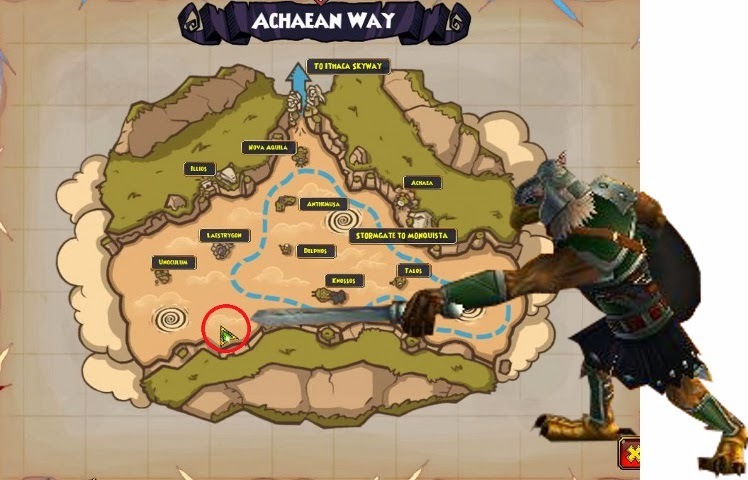 Have fun questing! 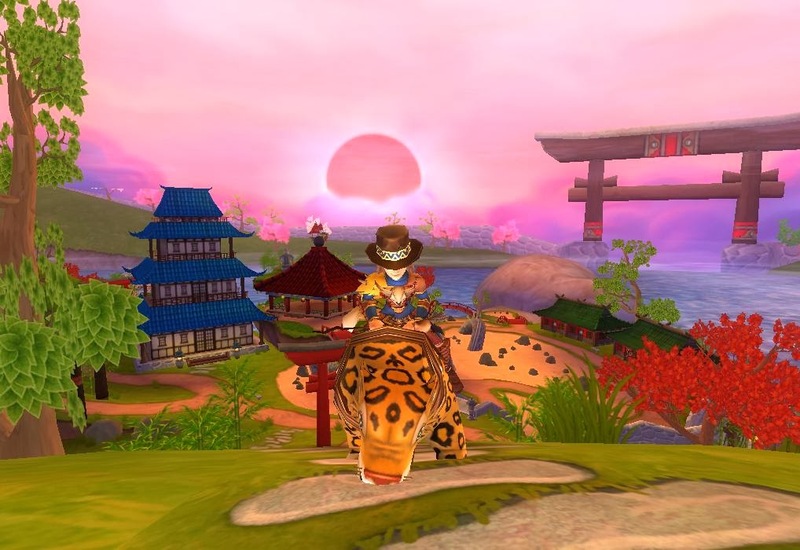 Yesterday, I was farming for a Tawny Sky Turtle pet in Mooshu. I started off farming Friar Sand, but didn't have any luck. So I decided to head over to Subata to farm the guy in Abe Pagoda. Well, when I got to my ship, I realized that I must have been farming for a lot longer than I had thought, because it was night time! Okay, not really, but I did have a cool glitch that made the whole sky black, so it looked like it was night. It was epic looking, with the beautiful Mooshu scenery against the all-black sky. I had a couple people port to me, but no one else could see it. Anyway, I did manage to get a bunch of screenshots. So I figured I would share them with all of you. Every single one of these items is awesome, but my favorites are the companion and the ship. 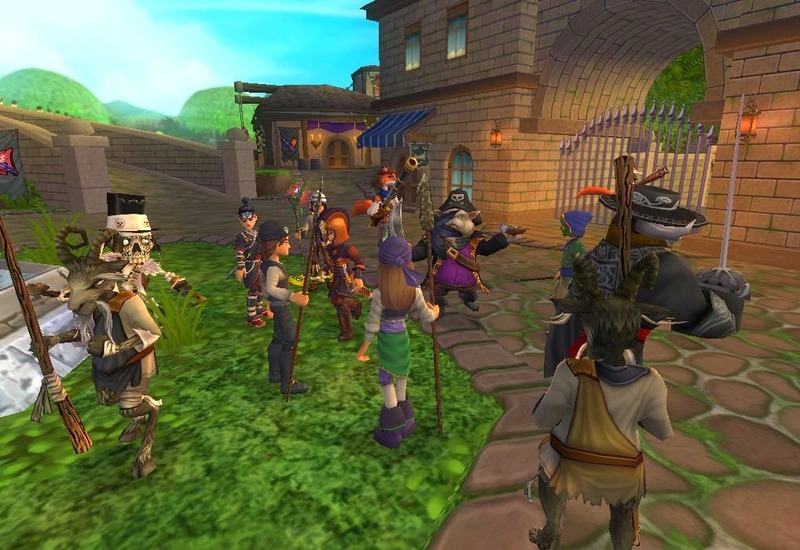 One Eyed Jack was awesome enough to give the fan sites codes to give away. I decided to make this easy and give everyone an equal chance by having a raffle. All you have to do to enter is follow this blog. Then comment on the post telling me which item in the Hoodoo Bundle is your favorite. Everyone who enters will be entered into a drawing. 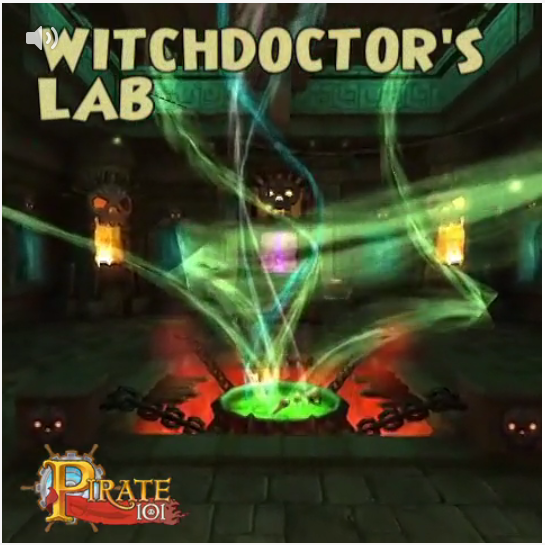 Yesterday Pirate101 released their monthly newsletter for February 2014. There was another sneak peek of the upcoming new content at the end of it, but first lets take a look at a few of the other awesome highlights. And last, but definitely not least......THE SNEAK PEEK! At the very bottom of the newsletter is another image titled "Completely Barmy." 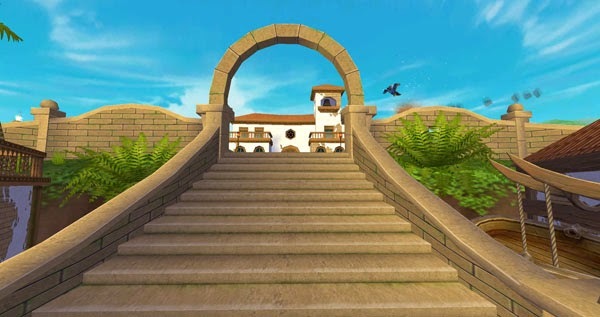 As you can see, it's a brand new staircase in Avery's Court. It looks kind of like it is placed between the Privateer and Buccaneer schools, but I'm not sure. What do you think it could be? Be sure to comment and let me know! 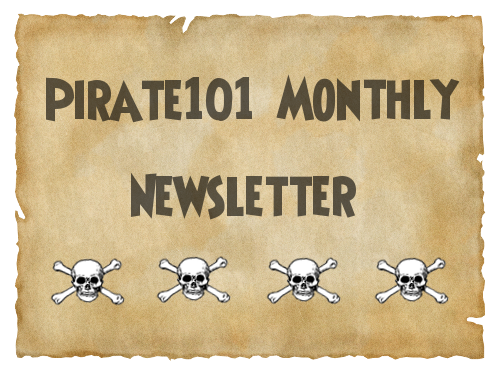 And definitely check out the newsletter for lots of cool stuff!